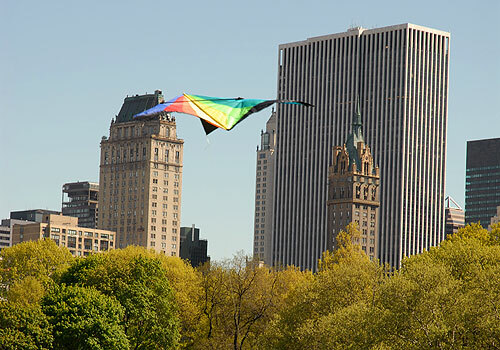 Kite flying is permitted without a permit anywhere in Central Park where there are large, open landscapes away from trees. Please respect closures due to fences, red flags and Quiet Zones. Do not leave any string or other materials behind that might entangle wildlife. Central Park South between Fifth and Sixth Avenues.